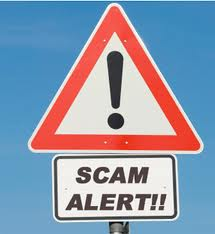 Debt Settlement "Programs" are Often Scams | The Law Office of Emil Fleysher, P.A. Debt Settlement “Programs” are Often Scams | The Law Office of Emil Fleysher, P.A. Many Americans today are faced with large amounts of debt. Because of this, many debt settlement companies have popped up promising consumers ways to get out of their debt in a relatively short amount of time and for less money than they actually owe. However, despite all their TV and radio advertisements, the industry admits that the debt settlement schemes fail to work for about 2/3’s of clients. According to the FTC and state attorneys general, it is actually less than 10% of consumers who successfully complete these programs and have their debts reduced. Additionally, even for the “successful” consumers there is often a high price. The companies typically charge large up-front fees in addition to a monthly payment and a percentage of the money they “saved” the consumer at the end. Also, the amount that the consumer’s debt is reduced is considered income by the IRS and thus is taxable unless the consumer is considered insolvent. The article suggests checking for a government-approved credit counseling organization that is non-profit or meeting with a bankruptcy attorney to further discuss the available options.